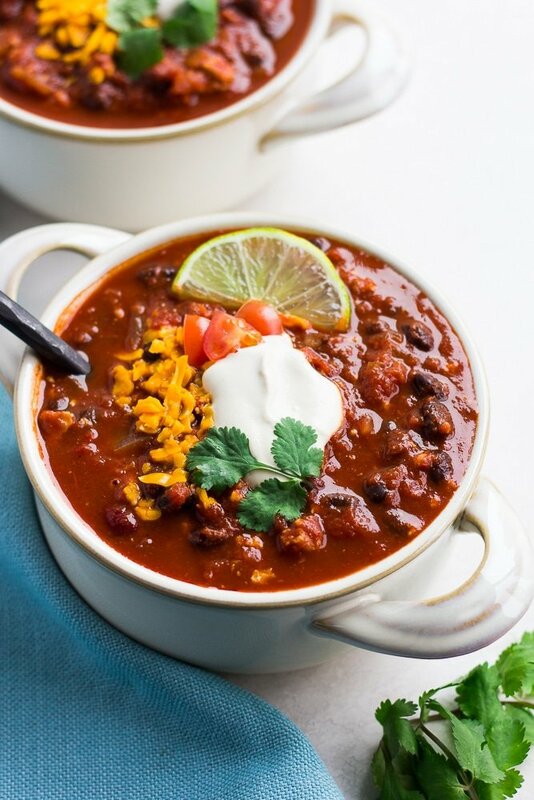 This Ultimate Vegan Chili is sure to please even the most devout of meat-eaters! 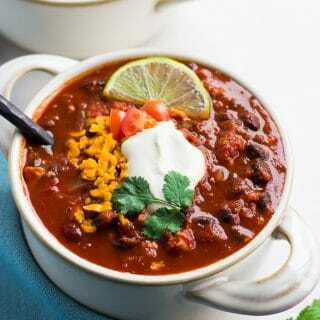 Meaty, flavorful and protein-rich, this chili is over-the-top delicious. Serve with vegan cornbread, cashew sour cream and chives for the best results! 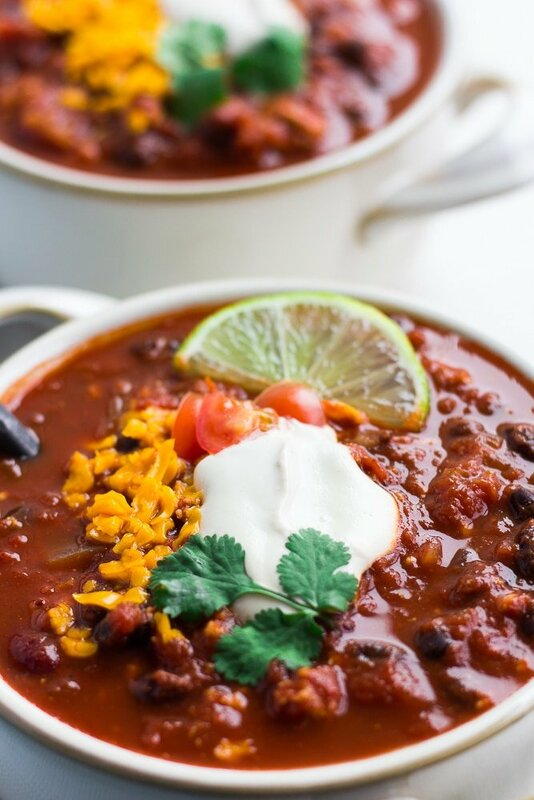 This is my second vegan chili recipe on the blog. The first was this Sweet Potato and Black Bean Chili, which was not only the FIRST recipe I ever posted, but it remains one of my most popular as well! I did update it with photos awhile ago, because some of my early photos were, hmmm, not great we’ll say! 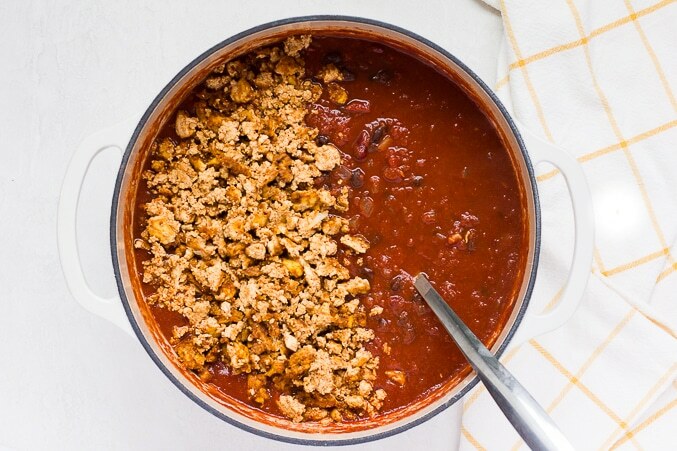 But this Ultimate Vegan Chili is a whole different thing. 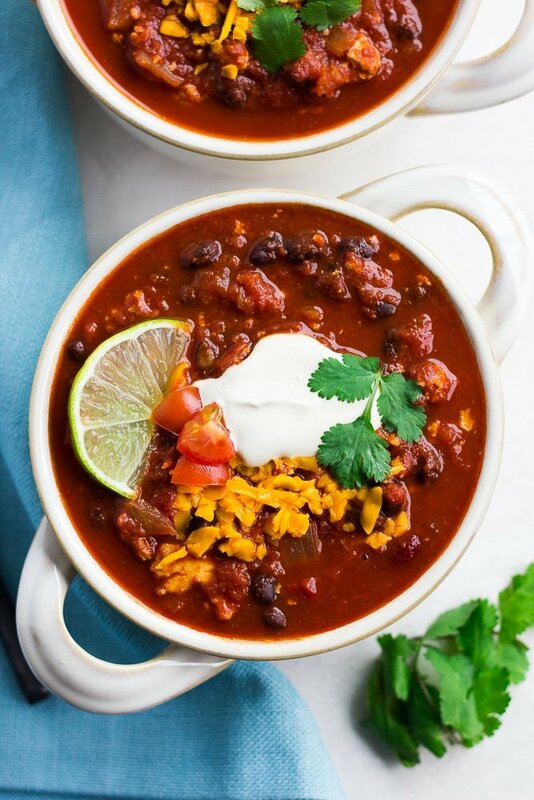 It’s a vegan version of a hearty, meaty chili. 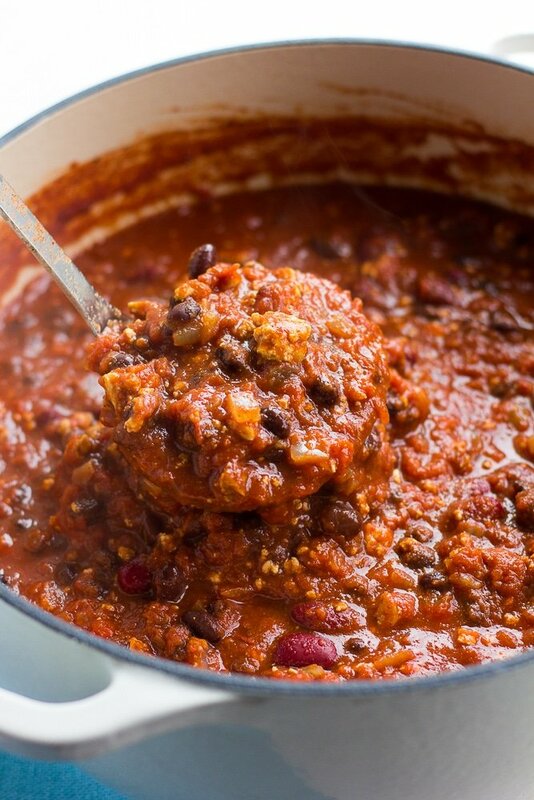 Serve this vegan chili to all the meat eaters in your life and see if they aren’t impressed! BONUS: It’s simple to make and will be ready in under an hour. Perfect for Game Day or a family dinner. First, get the meaty tofu crumbles baking. Preheat the oven to 350 degrees, and line a large pan with parchment paper. Stir together the soy sauce/tamari, nutritional yeast, chili powder and smoked paprika (SEE RECIPE CARD BELOW FOR EXACT AMOUNTS) in a large bowl. Crumble the tofu into the bowl and stir to mix. Bake for about 30 minutes, stirring halfway through. While the tofu is baking, start your vegan chili on the stovetop. Saute an onion, then add the garlic. Add all the other chili ingredients, except the tofu, and stir. Bring to a boil, then simmer about 20 minutes, until the tofu crumbles are done baking. Once the tofu crumbles are done, stir them into the pot. That’s it! 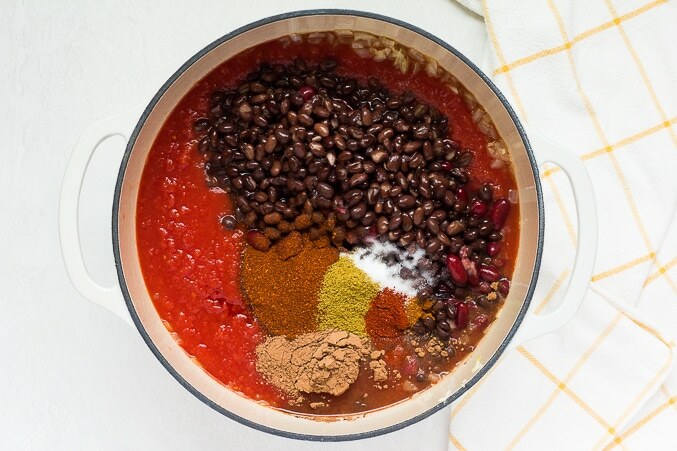 How can I thicken vegan chili? 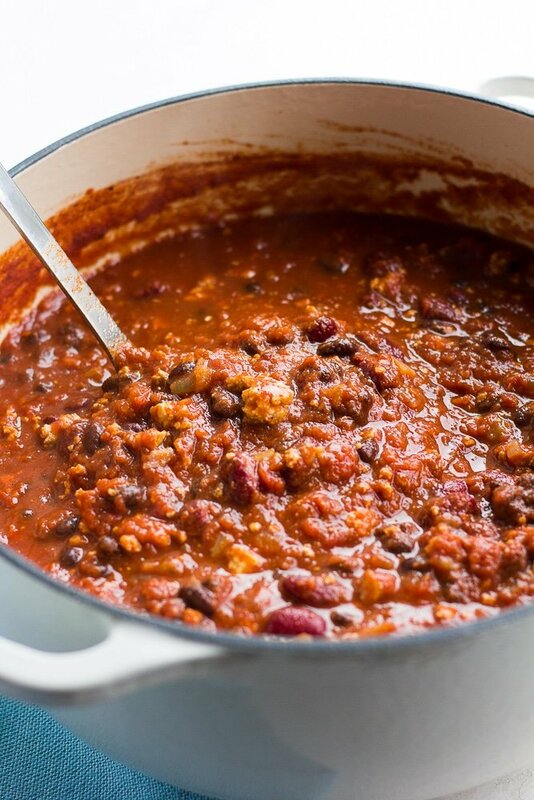 You might want a thicker consistency to your vegan chili. If you do, use an immersion blender (before you add the tofu) and blend just a few times in the pot. Sometimes I do this, and sometimes I don’t. Either way is good to me! Is vegan chili gluten free? Yes, as long as you use gluten free tamari instead of soy sauce, this recipe is gluten free. 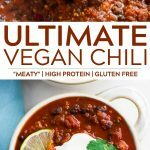 Can ultimate vegan chili be frozen, and how long does it last in the fridge? This vegan chili freezes very well. I like to freeze it in small containers for quick lunches, and I’ve also frozen it in a large ziplock freezer bag. It will keep in the fridge for about 4 days. 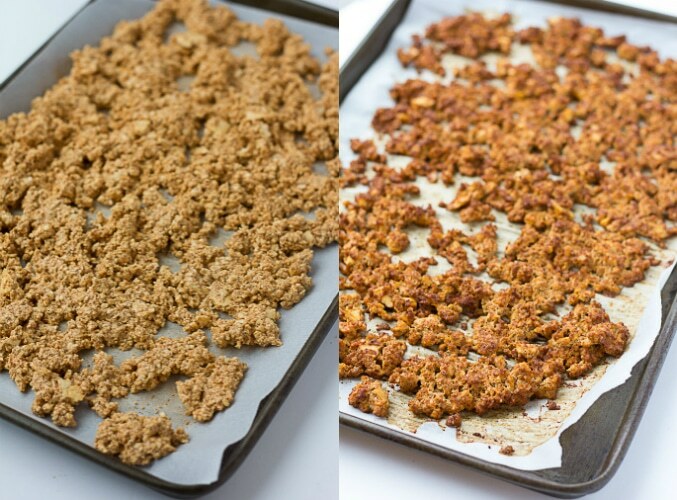 Preheat the oven to 350 degrees F and line a baking sheet with parchment paper or a silicone mat. In a large bowl, mix together the soy sauce, nutritional yeast, chili powder and smoked paprika. It will be pasty. Now crumble the tofu into the bowl with your hands, and mix together using a large spoon until well combined with the paste. Spread the tofu mixture evenly in the pan. Place in the oven and bake for 30 minutes, stirring the tofu halfway through. Once the tofu is in the oven, start the chili. 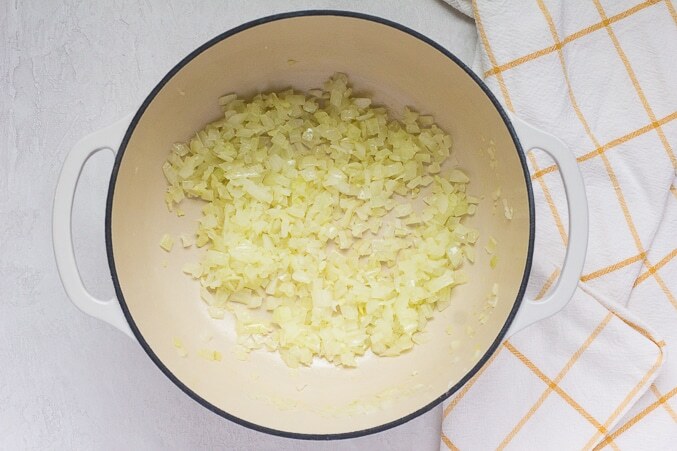 In a large pot over medium heat, add a few tablespoons of water OR olive oil. Add the chopped onion and saute 3-4 minutes until translucent. Add in the garlic and cook 1 more minute, stirring constantly. Add more water if needed to prevent burning. Now add all the rest of the chili ingredients, except the tofu, and stir to combine. Bring to a boil, then lower the heat and simmer for about 20 minutes, until the tofu crumbles are done baking. If a thicker consistency is desired, use an immersion blender and blend just a few times. Do this before you add the tofu, preferably. Once the tofu crumbles are done, stir them into the pot. All done! Serve with vegan sour cream, cornbread, tortilla chips, cilantro, tomatoes, hot sauce, vegan cheese shreds and/or chives if desired. For gluten free, make sure to use tamari instead of soy sauce. May substitute diced tomatoes for the crushed tomatoes if desired. I prefer not to have large canned tomato chunks in my chili. This chili will keep in the fridge for about 4 days, and also freezes well. Inspired by It Doesn't Taste Like Chicken. *This recipe was updated on February 2nd, 2019 with new photos and better instructions. Thank you.